I gather data, and I make lists. 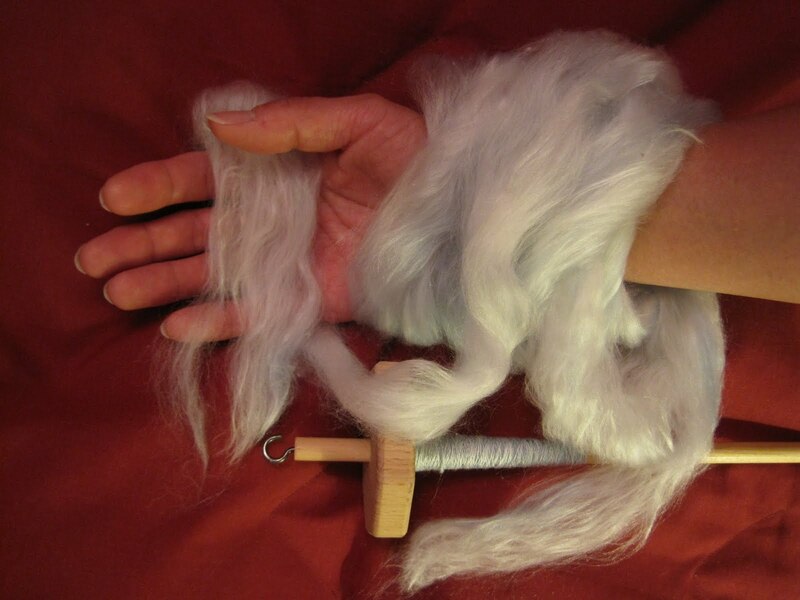 I plied 524yds from fluff. If I include the brown stuff I plied off the spindle at the beginning of TdF, that's 581yds total. And the skeins were 7g minimum, there were a few 8g and 9g in there - about 77g total from fluff. Some perspective for me: 524y/77g is equivalent to 340y/50g (I think in terms of skein weights I see in the marketplace). Sock yarn is about 200y/50g, so I'm spinning finer than sock weight. And here's the trailer, a pic of 7g of "Silver Lake" (Lisa Souza) fiber still in progress. It feels as lush as it looks. What a pleasure.